​A range second to none. 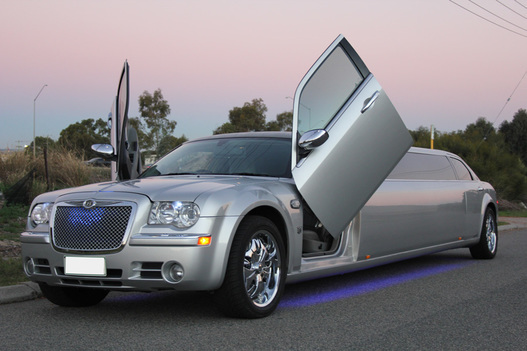 Offering an extravagant range of services that is unbeaten by any other limousine hire company in the Perth market. You can feel confident knowing that with such a vast range on offer, Perth Limo Experience is sure to have the one that will greatest fulfil your transportation needs. In addition to providing the most fantastic flash fleet of limousines on hire available in Perth, driven by our highly professional and proud chauffeurs. Service that you would have only dreamed of receiving. It is a desire of ours for you to feel a class above the rest, rich with royal treatment. On the page below, by clicking on the respective link you are interested in you will be redirected to the specific services page of your choosing. There you will be able to find and learn more information of each service and why it is that limo hire Perth service with us, like our vehicles interior will fit and feel perfectly plush. Note that each service can also be packaged for your pleasure. For example say you wanted a limo to hire for your school ball or wedding, we’ll provide luxury before, during and after, with photos along the way. Don’t see your service on the list? That is no problem at all, flexibility is after all one of our specialities. We are able to cater to any of your requests that you may have, all you need to do is ask. Above and beyond our competition. Our competitors strive hard to attract customers and to do so they add more and more luxury cars to their fleet, thinking that is the answer. But they are missing out on the key ingredients that makes the difference that we provide. We provide you with an effortless process that has you only needing to sit back and relax in your seat. From start to finish you will always be given instant, reliable and courteous service from these limo hire providers. Providing a tailored experience like no other. Provide your tailored pick up and drop off information to our customer service team and one of our delightful drivers will be pleasantly awaiting you. Regardless of whichever experience you have with us, know that you will be looked after in the best way possible and your journey with us is guaranteed to be divine. We are after all Perth’s No.1 Limo company, so let’s get the limo hire happening and visit some precious Perth places.